The Festival of Lights display continues at Milt Dunnell Field (The Flats) until Wednesday, January 3. There are horse and buggy rides around the Flats each Staurday and Sunday from 6 to 8 pm. St Marys is again competing in the Winter Lights program. Last year also competing in St Marys category for towns with a population between 3000 and 10,000 were Espanola, Ont, Happy Valley-Goose Bay, Nfld, Armstrong, BC, Chetwynd, BC and Petrolia, Ontario with Espanola's WinterLights Theme Tree Challenge winning the category. Other area winners were Ingersoll for cities of 10,000-20,000 and Woodstock for cities 20,000-50,000. Coffee Culture Cafe is opening today at Queen and Water Streets. Their first location was in Woodstock and they have plans to open franchises in Brampton, Hanover, Port Elgin, Stouville, Peterborough and Port Perry in the next few months. With comfy chairs and wi-fi internet, the Coffee Culture concept seems to have been inspired by Starbucks. The parent company, Obsidian, based in Mississauga, Ontario also operates the Crabby Joes Tap & Grill chain. Obsidian has said they are looking for locations in older downtown buildings. The 100 Queen St, St Marys location certainly meets that criteria - it was built in 1897 from the ruins of the National Hotel which had been destroyed by fire. St Marys Community Players are holding auditions for the 4 character play Romance in D Friday Dec. 8 at 7pm and Saturday Dec. 9 at 1pm at St Marys United Church, 85 Church St S, St Marys. The roles are for 2 men one in his 40s and the other in his 60s, and for 2 women one in her 40s and the other in her 60s. 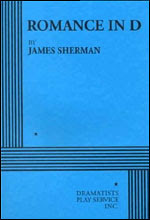 The play will be performed April 26-30, May 3-6, 2007. The play takes place in two side-by-side apartments in present-day Chicago. Charles Norton, a musicologist, lives in one apartment alone with his books and music. Isabel Fox, a poet on the verge of a divorce, moves into the other apartment and puts her head in the oven in a half-baked suicide attempt. Charles, next door, smells the gas and inadvertently becomes Isabel's savior. George Fox, Isabel's father comes to town and tries to cheer Isabel up. Helen Norton, Charles' mother, encourages Charles to get to know Isabel.